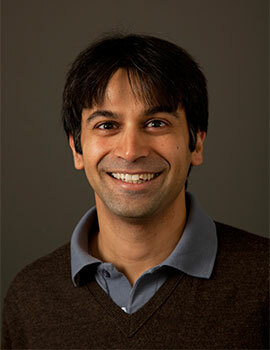 Sandip Sukhtankar is an associate professor in the Department of Economics at the University of Virginia. His research interests lie at the intersection of development, political economy, and public economics, with a focus on corruption and governance issues. Most of his field work is based in India. Anyone who has grown up in India and then studied abroad must surely wonder about big-picture development questions, and this was certainly true for me. But my interest in development economics in particular was really solidified in the months that I spent after graduating from college when I worked with a couple of friends to help set up a school in remote rural India. Anyone who has grown up in India and then studied abroad must surely wonder about big-picture development questions, and this was certainly true for me. But my interest in development economics in particular was really solidified in the months that I spent after graduating from college when I worked with a couple of friends to help set up a school in remote rural India. While immensely gratifying for me and the families in the village who benefited, I began to wonder about the government and market failures which meant that simply having a functioning school in the village was a luxury. In addition, while I worked with a fantastic group of activists and an amazing head teacher in the school, it seemed frustrating that development should hinge solely on the personal commitment of individuals rather than more enduring institutions. After returning to the US, I worked as an RA at Brookings and the Center for Global Development, and those experiences convinced me that I should get a PhD in economics and do research in development! We (Karthik Muralidharan, Paul Niehaus, and I) have just finished an RCT that might well be the largest ever (19 million households!) on the effects of biometrically authenticated electronic payments on welfare programs in India. We’re very excited about the results, which provide among the first evidence on returns to investing in state capacity, and suggest that these returns may be large, immediate, and come about even with incomplete implementation. We’re perhaps even more excited about another RCT that we’re about to begin – on the Targeted Public Distribution System in Bihar, India – which integrates into one design the impact assessment and revealed preference strands of modern policy evaluation. I was just having a discussion with a friend who works at the International Finance Corporation, and we had a bit of an argument about infrastructure projects in developing countries. I was arguing that we know very little about the returns to these investments, but he said that they in fact had very good numbers on this. Turns out that he was talking about firms’ internal rates of return, which are of course very different from what the government or social planner cares about, given the externalities as well as other outcomes that don’t enter into an individual infrastructure firm’s calculations. So yes, right now a dream evaluation would involve big picture infrastructure projects – of course these are hard to randomize, but you said it doesn't have to be feasible!